Affair Recovery is now taking community to the next level with adding Private Messaging “PM” functionality. Everything you need to know about private messaging at Affair Recovery is laid out for you below. 1. 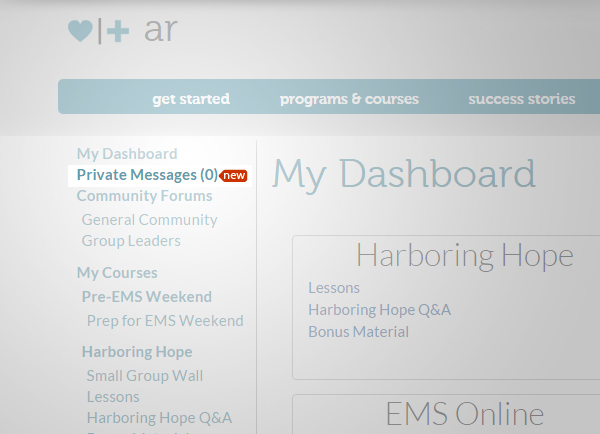 Click on Private messages in the menu on the left-hand side of the screen from your dashboard. 2. Next click the yellow “write new message” button.